Obviously you're free to change how PUPs are handled and this is in fact the very reason those options are provided. Additionally, if you only wish to exclude a specific PUP rather than all PUPs you may instead perform a Threat scan with Malwarebytes by opening Malwarebytes and clicking the Scan Now button on the Dashboard, then once the scan completes, verify that all of the detected items belong to the program that you wish to exclude then click the empty checkbox at the top of the list in the column header to clear all of the checkboxes next to all of the detections then click Next and when prompted on what to do with the remaining detections select the option to always ignore and they will all be added to your Exclusions in Malwarebytes so that those items will no longer be detected by future scans or the Malware Protection component. I hope that helps to clarify things and if there is anything else we might assist you with please don't hesitate to let us know. I hope this helps and please let us know if there is anything else we might assist you with. Man those girls could ROCK. They were so metal back when metal wasn't even that metal . Must be one of the best covers ever. Just to add to what Firefox mentioned above, you might find the information in this support article to be helpful and you'll find additional details on signing up at My.Malwarebytes.com in this support article. If you are still unable to retrieve your license key then please contact Malwarebytes Support directly via the form on the bottom of this page and they should be able to assist you in tracking down your license information. I hope this helps and if there is anything else we might assist you with please don't hesitate to let us know. Reading the comments here makes me want to cry, people arguing what the file is and is it safe or not without realising they've submitted an empty file, thus has the SAME FILE HASH as everyone elses empty file. I don't know about how it works for Macs, but I do know that on Windows it is a very bad idea to try to remove malware from backup images or system restore points as it will corrupt them rendering them useless and an infected backup is better than none should a system failure occur as you can always restore the system/image then scan it afterwards to remove any threats that might be present once the restore operation is completed. If there's anything else we can help you with please don't hesitate to let us know. Excellent, I'm glad I was able to help. If there is anything else we can help you with please let us know. You may contact Malwarebytes Support directly via the form on the bottom of this page and they should be able to assist you. If there is anything else we might assist you with please don't hesitate to let us know. Yes, unfortunately without more details there really isn't much to go on, but my suspicion is that either it is as I suggested that the threat had done some damage at some point, or possibly it could have even been an underlying issue with the system that was already present but only manifested once put through the process of scanning/removing the threats with ADWCleaner (for instance some kind of problem with corrupt disk sectors or something similar, though again, this too is merely speculation). Yes, FileHippo is a legit site. 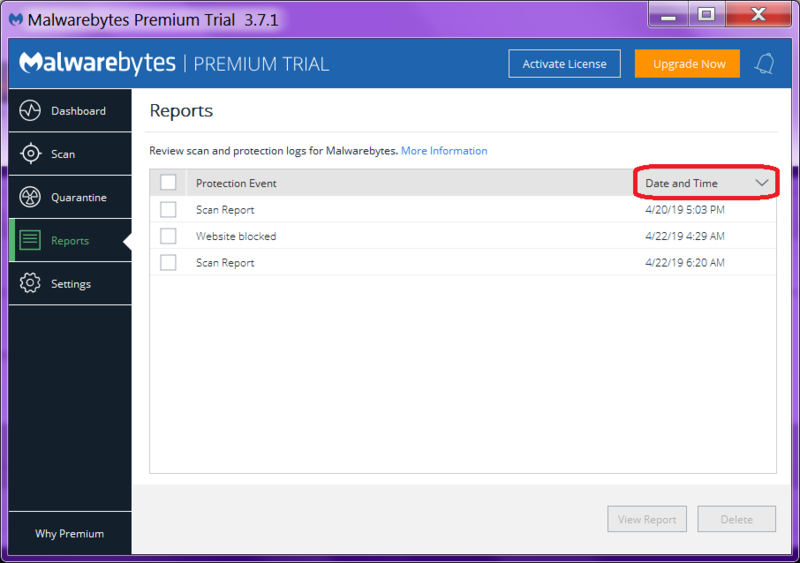 I refer users to it often whenever one seeks an older build of Malwarebytes as they keep a long running archive of past software versions for the programs they host.